According to Education Next, more than 50 percent of freshman in the United States are ineligible for university level courses and must take some form of remediation. Higher learning remediation is necessary for several reasons. Sometimes students in high school don’t receive or aren’t able to finish the courses necessary to prepare them for college. It’s also common for adult students to require remedial courses if they’re returning to school after a long absence. Whatever the reason, there are several ways colleges and universities can effectively address remediation and ensure quality learning outcomes. 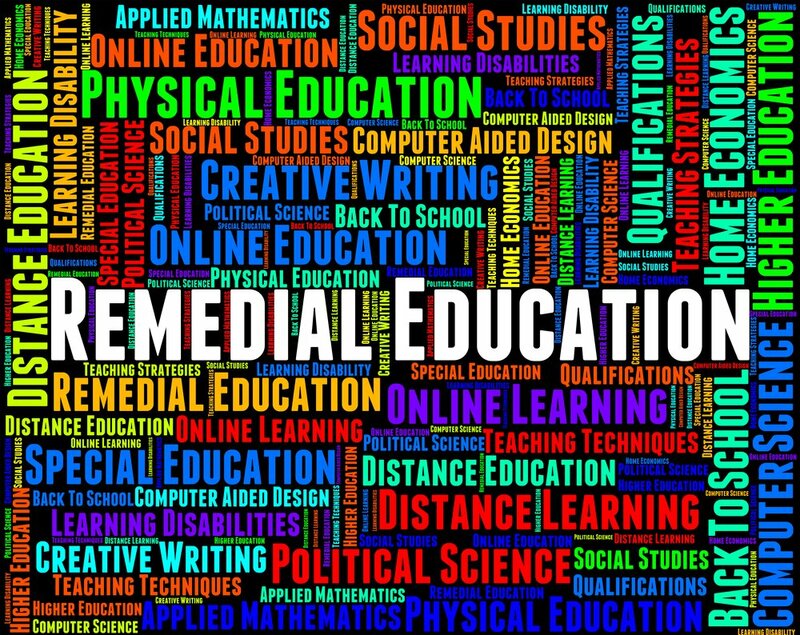 The National Conference of State Legislatures recommends accelerated courses as one of several avenues for improving remediation. Accelerated courses provide the same amount of learning within a shorter time period. This ensures that students are able to start university level courses in the shortest time period possible. Those who take part in accelerated learning often have access to extra support. This can include personalized tutoring or weekly study groups. They offer convenience and flexibility, allowing students to plan their classes around their work and family schedules. Students can save time by avoiding long commutes. Online classes increase a student’s technical skills. Online classes will often cost less. Federated Learning Communities – This involves a group of students taking three theme-based classes and a seminar. Coordinated Studies Programs – Classes are held during a block of time and revolve around a central theme. Linked Courses – Two classes are linked together. One focuses on content while the other is skills based. Learning Clusters – A group of students take up to four courses together in one semester. These courses may often revolve around a similar topic or theme. Learning that is directly connected to hands-on training is often the most effective learning and can increase retention. These types of remedial classes allow students to improve a variety of skills while taking college level classes. Programs that include job-training can help make the learning material more relevant. It can also provide valuable experience that can aid a student when it comes time to look for a job or expand their career. An excellent example of this type of combination is the I-Best Program. This program features actual job training along with course instruction in classes such as English and math. High schools and colleges are increasingly working together to make the transition from secondary to post-secondary education more successful. Education Week reports that states are bringing college faculty and high school educators together to create English and math classes that will prepare students for college level courses. This means that high school instructors will be able to teach students the specific skills necessary to succeed at the university level. Reducing the need for remediation as well as improving and fast-tracking the remediation that is needed will give more students a greater chance of obtaining a college degree. It will also help students receive those degrees more quickly and save millions in remediation costs.